Question: What combinations of Climate CoLab proposals could help achieve multiple Sustainable Development Goals? “Sustainable Development” is development that meets the needs of the present without compromising the ability of future generations to meet their needs. It is a visionary concept that calls for integration of economic development, social equity, and environmental protection. It is development that puts people at the centre and strives to be just, equitable and inclusive. In September 2015, world leaders adopted seventeen Sustainable Development Goals (SDGs), together with their 169 targets. The SDGs are integrated, indivisible and balance environmental, social and economic concerns. The goals will stimulate action over the next fifteen years in areas of critical importance for humanity and the planet, including: poverty eradication, food security, health, education, gender equality, access to water, sanitation, clean energy, decent jobs, key infrastructure, strong institutions, inequality reduction, sustainable urbanization, responsible production and consumption patterns, climate change mitigation and adaptation, and ecosystem conservation. 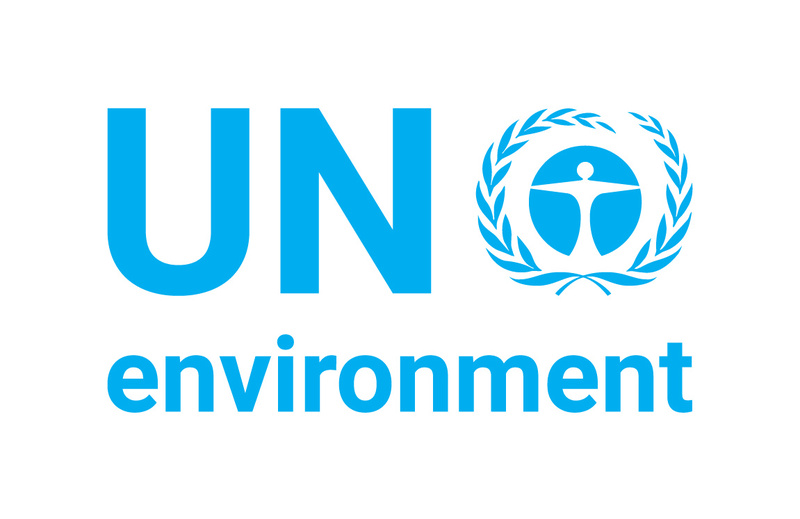 The United Nations Environment Programme (UN Environment) is the leading environmental authority responsible for setting the global environmental agenda. It supports member states in implementing the SDGs and reviewing progress through strengthening the science-policy interface, providing expert knowledge, capacity building and technical assistance, as well as leading on environmental advocacy. The Global Environment Outlook (GEO) is UN Environment’s flagship integrated assessment on the state of the global environment. The assessment keeps governments and stakeholders informed of the performance of global environmental indicators and trends, examines the effectiveness of environmental policies, and provides prospects for improving the environment. The assessments -- and their consultative and collaborative processes -- have worked to bridge the gap between science and policy by turning the best available scientific knowledge into information relevant for decision-makers. The upcoming Global Environment Outlook assessment (GEO-6) includes a bold new mission to examine feasible pathways for achieving a broad range of internationally-agreed environmental targets, including the Sustainable Development Goals (SDGs). The report will also include relevant synergies and trade-offs between achieving the different targets. As decision-makers are deciding and implementing strategies to pursue the seventeen Sustainable Development Goals (SDGs), they are running into trade-offs between achieving the targets. For example, studies have shown that, while protecting the world’s forests can keep carbon out of the atmosphere (contributing to the goal on climate action, SDG 13), it may also reduce land availability for food (hampering the goal on eliminating hunger, SDG 2). Producing enough food to achieve zero hunger (SDG 2) could come at the cost of clean water and sanitation (SDG 6) due to increase in the use of irrigation and fertilizer. Or SDG 9 on building resilient infrastructure could be at the expense of protecting terrestrial ecosystems like forests (SDG 15). For the first time, UN Environment is including bottom-up (e.g., actions from civil society, private sector, and local government actors) and participatory analysis (stakeholder perspectives) in its GEO-6 assessment, by asking scientists, researchers, practitioners, students, and others around the world to help identify solutions to this challenge of synergistically achieving the SDGs, which UN Environment can share with decision-makers around the globe. In doing so, UN Environment hopes to challenge, examine, and test the constraints and possibilities offered through top-down approaches. This contest asks the international community to combine real-world proposals and share how they can achieve multiple Sustainable Development Goals (SDGs), with an emphasis on maximizing synergies between proposals while minimizing the trade-offs that can occur when trying to achieve a broad range of Sustainable Development Goals. We challenge participants to select and combine existing proposals on the Climate CoLab platform to develop new integrated proposals for achieving multiple SDGs. You are free to add additional actions (that are not on the platform) to make your integrated proposal more robust and achieve a greater number of SDGs. Use Climate CoLab’s search to find proposals by keyword. We are calling for proposals that outline an integrated set of innovative, practical solutions to help achieve the climate action goal (SDG 13) and multiple other goals. Are inventive and creative in how proposals are combined to achieve multiple SDGs. Feasibility: Feasibility of the actions proposed in the proposal. Judges with different kinds of expertise will evaluate the technical, economic, social, and political feasibility of the proposals. Impact: Impact and ability to achieve multiple SDGs: This is the main aim of the proposal and so will be significant in the final judgement. However, it is not sufficient that the proposal achieves a large number of the SDGs, but is not feasible or doesn’t recognize the possible trade-offs with other sustainability goals. The proposals should aim to address the SDGs in an integrated manner, but should be explicit about the areas in which it is unable to achieve change. Novelty: Novelty of the proposal's ideas. Innovative thinking and originality in a proposal will be valued more than encyclopedic knowledge. Presentation Quality: Proposals that are well-presented will be favored over those that aren't. Presentation quality includes how well written a proposal is, how well it uses graphics or other visual elements, and how compelling are its artistic representations of possible future worlds (if any). Best practices that need refinement or support to scale up. be awarded one economy-class roundtrip airfare ticket, and a daily subsistence allowance to support their travel to Nairobi. receive wide recognition and visibility by MIT Climate CoLab. Judges will evaluate proposals, and deliberate as a group to select the Semi-Finalists, Finalists, Winners, and possibly other awardee(s) at their discretion. Judgments of desirability are also made in the final stage of the contest, by the Climate CoLab community through popular vote, and by the Judges through their selection of the Judges' Choice winner(s). Additional awards and prizes may be given by either the Judges or MIT Climate CoLab in order to recognize other top proposals. See contest rules for details. Semi-Finalists will have a chance to revise their proposals before the second round of evaluation. For the contest schedule and phases, please see the blue schedule bar on the contest homepage.